by Kassem Eid Author · Janine di Giovanni Author of introduction, etc. 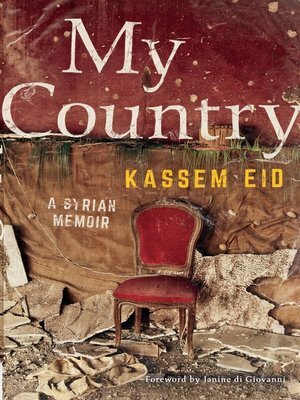 Kassem Eid survived arrest in al-Assad's regime, a chemical weapons attack that shocked the world, and the siege of a city where he fought with the Syrian rebel army. This is his story-a unique and powerfully moving testimony for our times, with a foreword by Janine di Giovanni. On August 21, 2013, Kassem Eid nearly died in a sarin gas attack in the town of Moadamiya. At least 1,500 people were killed. Later that day, he was hit by a mortar while helping the Free Syrian Army fight government forces. He survived that, too. But his entire world-friends, neighbors, family, everything he knew-had been devastated beyond repair.